Last week I did some beach camping at the San Onofre State Beach "Trails" and my experience was less than satisfactory. I'm hoping that by reading what happened through my trip, you'll be able to plan for a better trip. 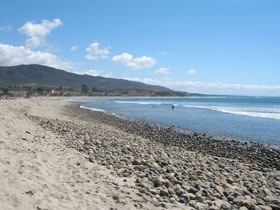 San Onofre Bluffs offers camping and day-use parking along Old Highway 101 adjacent to the sandstone bluffs. The beach below is popular with swimmers and surfers with six rugged dirt access trails cut into the bluff above. All campsites include a fire pit and picnic table. The campground offers cold outdoor showers and chemical toilets. No hookups are available however there is a dump-station. 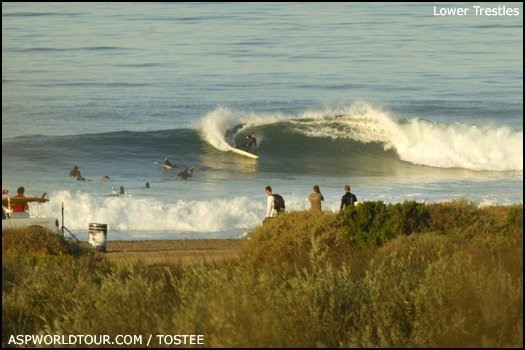 It seems obvious and simple enough, but San Onofre really isn't as fun when it's overcast. I spent a week at the campground in the middle of July and the weather was awful. Don't assume ANY sunshine because I didn't see the sun once while I was there. After spending all day in the ocean, it's a disappointment that the only showers at the campground are cold beach showers. 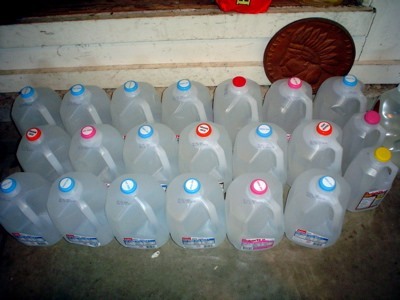 Before you go to the beach for the day fill up your empty jugs and leave them outside so they're at least "room temperature". If you're lucky, you should be able to leave them in the sun to warm up. I've never camped at a place where the campsites are so close to each other. With a picnic table and firepit to mark your territory, the next firepit is only about 6 feet away. If you're the type who wants your own space, it may be worth it to rent out the adjacent sites. It was really hard to sleep with the next campers campfire right next to our tent. Like the description on the CA state parks website says - there are dirt access trails to the beach below. It's not that the walk is that far, but when you're trying to carry a days worth of beach stuff and food, it takes a lot of effort.